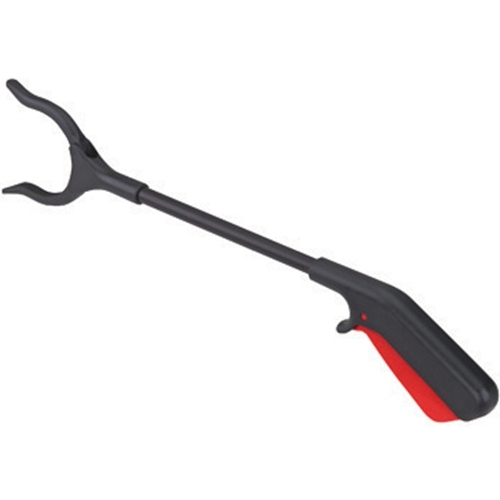 Ergonomic Plastic Reacher from HealthyKin.com is ideal for people with limited range of motion or difficulty bending. I have used this style of reacher in both lengths for years. It is by far the most flexible and lasts the longest of any others I have tried. Definately recommend. this is the only reacher i will use put a hole in the handle with a string on it and it hangs on the back of my chair perfectly !!! I bought my mom three other reachers before we found this one; it is by far the easiest to use and has the firmest "grip". She is in a wheelchair and couldn't get along without it. Highly recommended.